Inkin' It Up With Kendra! : Oh, Christmas Tree! 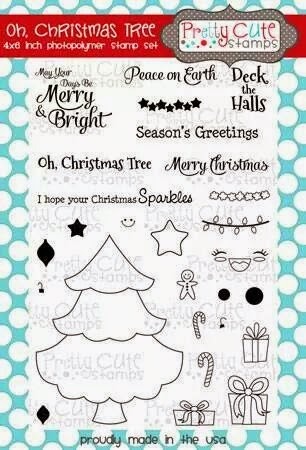 Hello all my Crafty friends and Happy Wednesday! 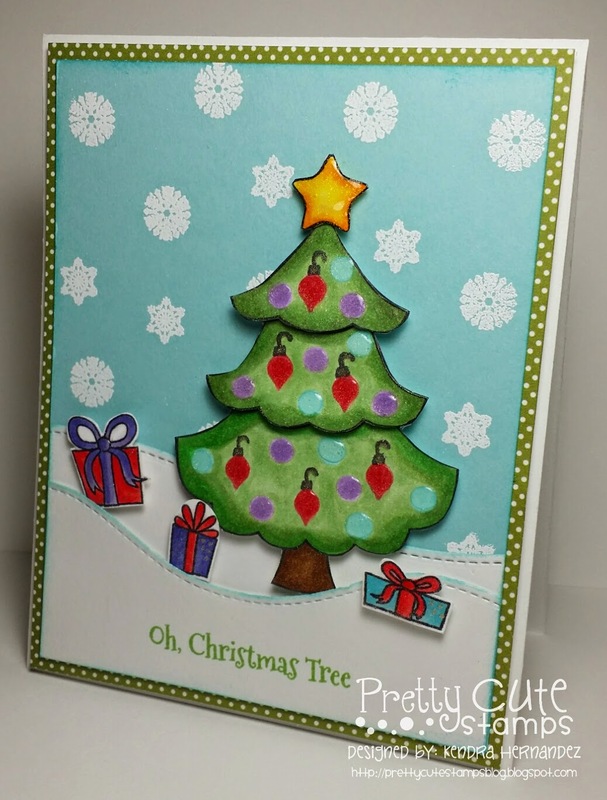 I'm back with another fabby Christmas card design using the Pretty Cute Stamps October Release Oh, Christmas Tree! I so enjoyed all the Halloween festivities, but it's nice to finally be in Christmas mode! I LOVE making Christmas goodies! This set is awesome and has so many great stamps! I stamped the Christmas tree three times and then cut each section of the tree so that I could pop it up and make it look more three-dimensional. 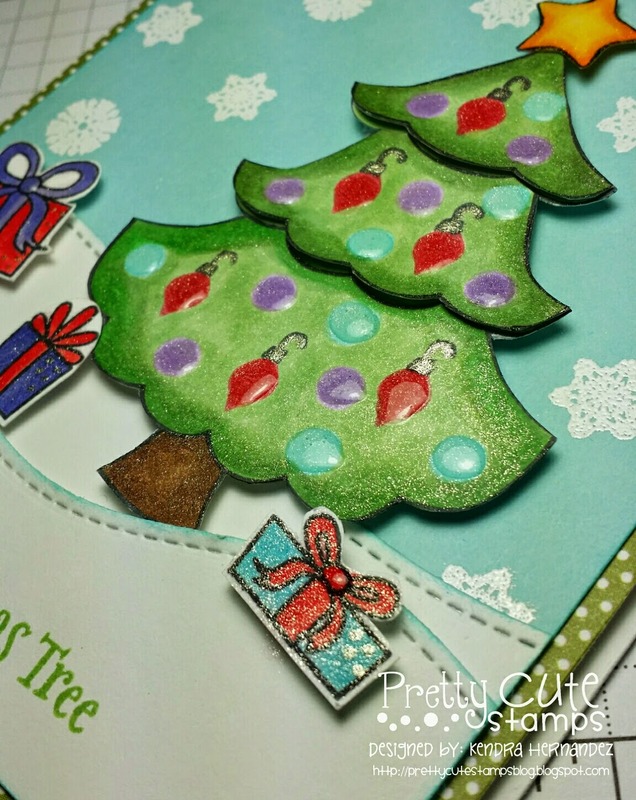 Then I colored and stamped all the ornaments....it took a little bit more work, but the end result looks awesome! 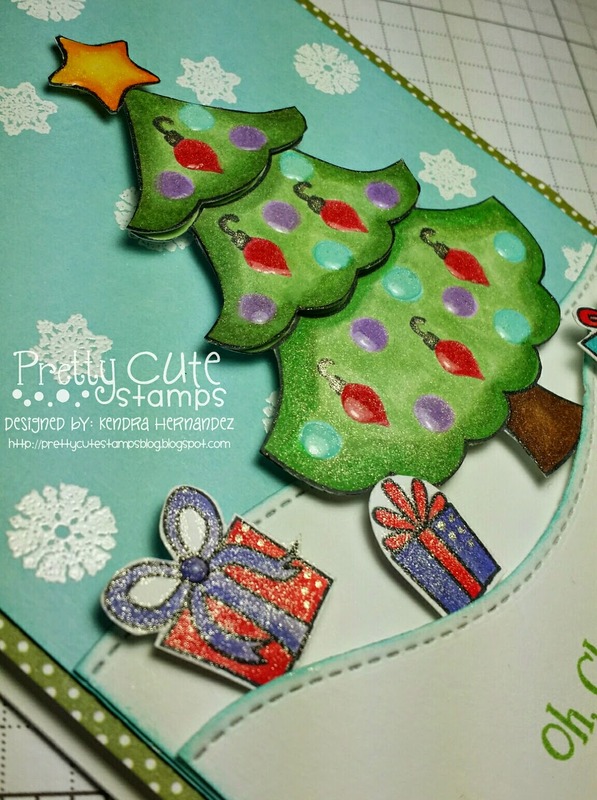 I used a couple of different snowflake stamps from the Christmas Cheer set, stamped them in versamark ink, used some white embossing powder and my heat gun and voila a pretty background of falling snowflakes. They are so much prettier in person! I used my Wink of Stella clear glitter pen on everything....it gives it so much sparkle! Then I used some Ranger Glossy Effects on all the ornaments and the star. Look at all those fabulous trimmings for the tree! Thanks so much for stopping by and I hope you have a fabulous day! This set and the rest of the October Release are available in the Pretty Cute Stamps store....if you haven't seen them all yet, then run over and check them out! I'll be back soon with some more Christmas inspiration - I've gotten a lot of happy mail lately from some really great companies!! Oh Kendra this is too cute! I love bright the colors, the dimension, the background, everything!